It’s a quiet Sunday afternoon at Concordia’s downtown campus. But wandering around the Hall building’s seventh floor, the smell of fresh peanut butter cookies and the sound of mountains of crisp, fresh kale being chopped are a sign of life in the otherwise still building. For the three cooks in the Hive Café Co-op kitchen, it’s a Sunday like any other. “It’s like a football field in here,” she said. But this space is a vast improvement from the kitchen the Hive was using when they started two years ago. Wolfe said she was working from the kitchen on the Loyola campus which, as she explained while scooping cookie dough from a large stainless steel bowl, didn’t even have knobs on appliances. “We have knobs everywhere now,” joked Jay Manicom, a cook for the Hive since October 2015, from the next table over. Now, thanks in part to a $185,600 allocation approved at the Concordia Student Union’s last special council meeting on Thursday, the Hive is preparing to take it’s next big step. In 2017, Concordia University will be making major renovations to the Hall building’s seventh floor—changes which mean a new kitchen space for the Hive. “I think it’s a positive thing for the university to promote and allow student initiatives to play with food and learn about food,” said Colleen Risby, a chef with the Hive since September 2015. Concordia will be covering costs of the infrastructure changes on the seventh floor, a project which will require the Hive’s current kitchen space to be demolished temporarily until the new space is open sometime in 2018. Despite the university taking the brunt of the costs for the project, the Hive still needed help with purchasing kitchen equipment for the new space. The $185,600 will cover purchasing a commercial kettle, tilt skillet, grill and oven among other tables and appliances. While the actual costs of the items will be less than the amount asked from the CSU, Hive Café co-founder and Hive Café Mezzanine coordinator Jess Cabana explained a portion of the cost will go towards what she called a “contingency cushion,” or a sort of safety net in case unexpected costs arise. However, the motion passed at council stipulated that all money not used for the project would be returned to the CSU at the end of the move. During their presentation to council, Cabana and Wolfe highlighted how important this move would be for the Hive and the necessity to act quickly. The group only had two weeks to let the university know if they were on-board with the new plans and Cabana said not taking advantage of this opportunity “would take away momentum” from the Hive. 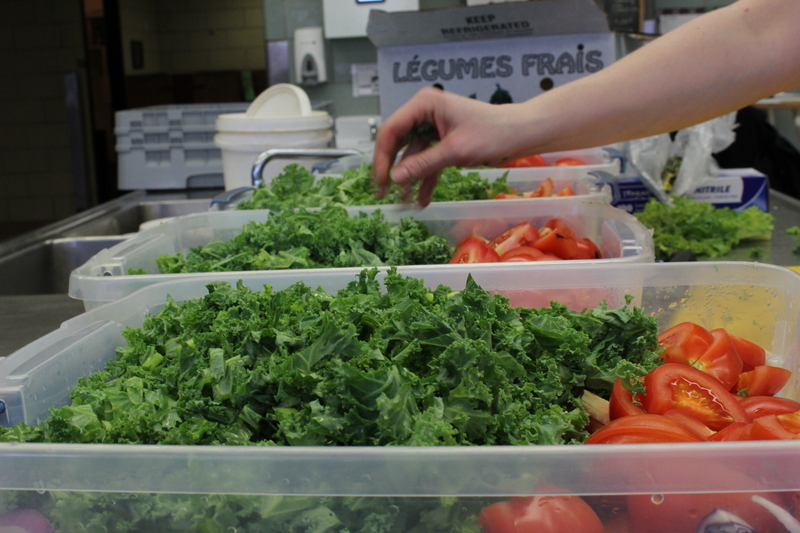 The Hive currently makes 80 per cent of its food in-house and 70 per cent of the food sold is organic. Cabana said keeping a kitchen space will allow the Hive to maintain and stabilize its current services. CSU general coordinator Terry Wilkings said contributing to the Hive’s move fits in with the organization’s mandates around food systems—five of the last nine referendum questions passed by the CSU related to the topic. “Given the timely nature of the proposal and the very significant financial contribution from the university we feel that it is a large part of our mandate to support these types of initiatives,” he said, adding the funding proposal was for roughly two per cent of current amount in the Student Space fund. Cabana said she was both excited and proud of the new project because of what it means to students. “This project is a milestone in gaining more control over the food we eat and increasing engagement opportunities for students in our local food system,” she said.